This is a great article if you’re wondering what to expect in a yoga class. Good for me as a beginner at teaching yoga too. 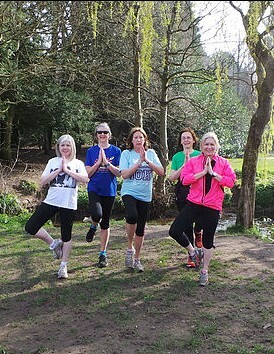 Picture of yoga in Bramhall Park, ladies pictured all new to yoga and enjoying Vrkshasana by the river and in the sun. Click Here To View The Article In Full On Mind Body Green.